Jeff Harrison (1866-1945) was the only son of entrepreneur Matilda Harrison - so it seems natural that Jeff was also very much a go-getter. His mother Matilda Harrison was proprietor of the Valley Hotel located at Chilliwack landing, and later the Harrison House Hotel; situated at the corner of Wellington Avenue and Corbould. Matilda with young Jeff in tow arrived in Chilliwack in 1878. Jeff was 12 years old. In 1886 Jeff secured the contract to deliver mail between the CPR terminal in Harrison Mills and Chilliwack, initially via rowboat and canoe. He was the first non-native person to carry mail and made this trip five times a week. In 1894 the mail contract was taken over by Sheep MacDonald but Jeff‘s relationship with the Fraser River was by no way over. 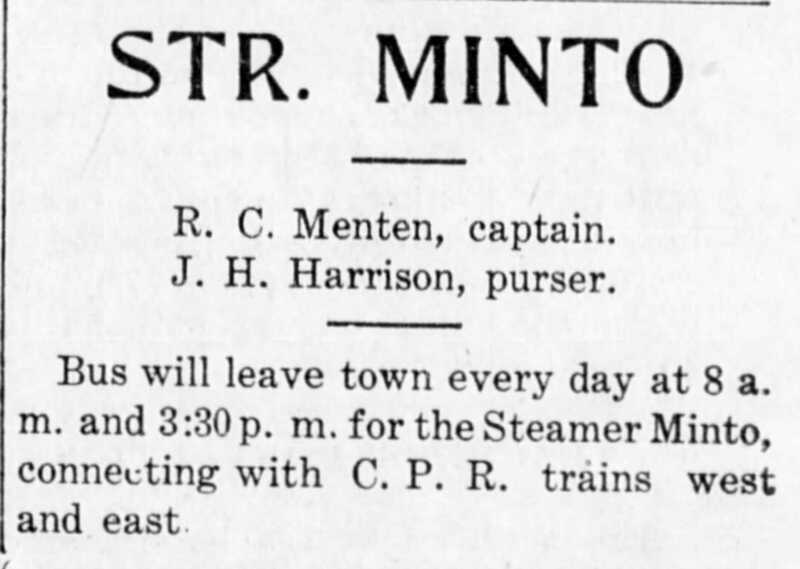 Between 1900 & 1909 he partnered with Robert Menton and operated the steamer “SS Minto”, which was able to cross the Fraser in 25 minutes; carrying up to 20 passengers per trip. 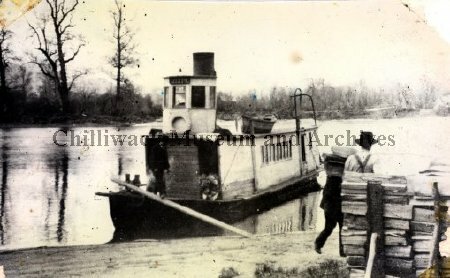 The steamer’s regular service between Harrison and Chilliwack enabled passengers to travel easier throughout the region. 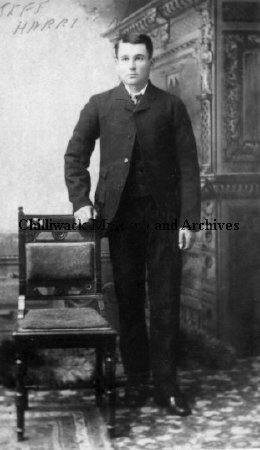 After his stint ferrying people and goods across the Fraser, Jeff Harrison obtained employment with the provincial government as a dyke caretaker on the river, before he left Chilliwack in 1920. Jeff Harrison was referred to in the Jan.22, 1920 Chilliwack Progress as an “expert of moods of Mighty Fraser”. Jeff and Marion Harrison eventually returned to Chilliwack and took up residence on Williams Street. Jeff passed away in his Williams Street home in December, 1945.